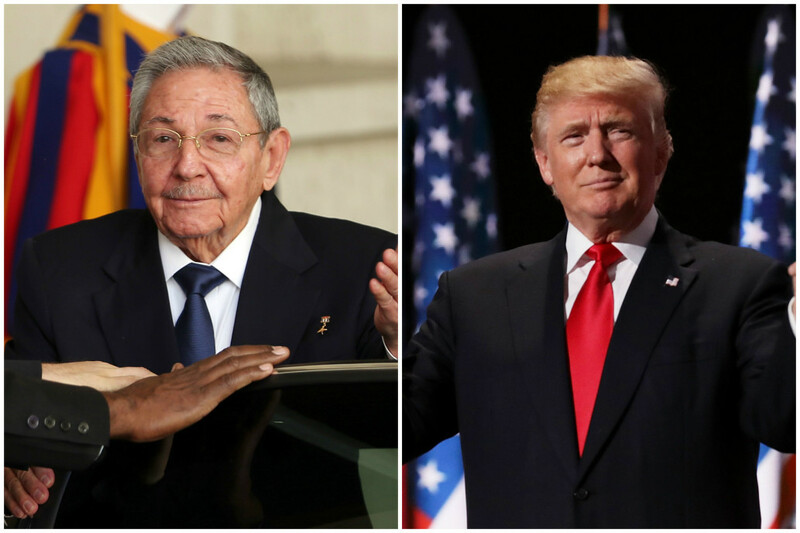 BAVARO, Dominican Republic — President Raul Castro expressed Cuba’s willingness to continue negotiations with President Donald Trump’s new administration but warned that his country would not concede any of its sovereignty. Castro made the comments at a summit of Latin American and Caribbean leaders in the Dominican Republic that was dominated by talk of Trump’s immigration and trade policies, and his criticism of the detente between Cuba and the United States that was promoted by Trump’s predecessor in the presidency, Barack Obama. “Cuba and the United States can cooperate and live together in a civilized manner,” Castro said Wednesday in a speech at the summit of the Community of Latin American and Caribbean States. He said Cuba was willing to continue normalizing relations with Washington but his country would not “make concessions inherent to its independence and sovereignty” to achieve this. The leaders veered off the expected script for the summit after Trump signed executive actions calling for construction of a border wall and stripping support for so-called sanctuary cities. Many of the leaders also warily anticipated his support for protectionist measures. Salvadoran President Salvador Sanchez said his country would take action to confront the changes, while other leaders pledged to reject the criminalization of immigration and defend the rights of migrants. Chilean Foreign Minister Heraldo Munoz said that during the group’s first meeting, which was held behind closed doors, an attitude opposing protectionism and closed borders prevailed. “Latin America and the Caribbean have taken a stand in favor of the integration, in favor of the opening, in favor of the preservation of the advances that have been made in the matter of free trade,” he said. The presidents of Chile, Mexico and Colombia announced at the last minute that they would not be attending the summit, which only drew 10 presidents and two prime ministers.